We'll be back for more Kiddie Kilo this year! There are all kinds of events and rides this weekend across the region! Friday night races start tonight at the Marymoor Velodrome, including the first Kiddie Kilo of the season. Bring the youngsters to the track with a bike and a helmet and send them out on the velodrome for a quick lap in front of the cheering throngs. All ages welcome, including kids on balance bikes. Come explore the roads, trails and artworks of Kent on the Earthworks Tour. Ride on your own or join the group at 9 a.m.
SPOKESPEOPLE Rides: Fish Ladders & the Ship Canal Trail -- Meet at the Wallingford playground and ride at an easy-going pace on easy-going roads and trails to the Ballard fish ladder. Family-friendly, with all ages and skill levels welcome. 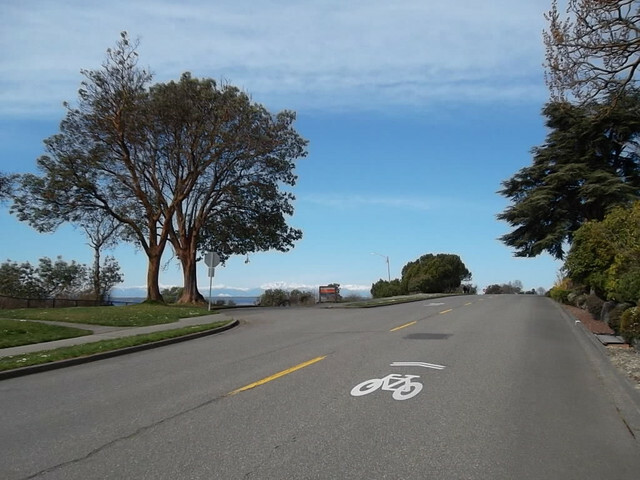 Pull up a curb and get your race fix on at the annual Ballard Criterium starting at 3:30 p.m.
Bike Sunday -- Cruise the Lake Washington waterfront car-free. There will be hills and views on Jacquie & John's Excellent Adventure, a beautiful ride at a moderate pace exploring Fishermens terminal, Discovery Park, Ella Bailey Park, West side of Magnolia, Queen Anne lookouts including Kerry Park, Bhy Kracke park, riding close by the Space Needle, Myrtle Edwards Park, and the Ship Canal trail. Crepe Cruise -- Take a leisurely spin to the Swedish Club, then spend the rest of the day cruising the city working off all the crepes you've eaten. Scope for the next Ryder Hesjedal in Tenino at the Washington State Individual Time Trial Championship. If you rode hard over the weekend, check out Small Chainring Mondays, an after-work recovery ride at a brisk pace on Mercer Island for cyclists who have spent the weekend riding at a strenuous, super strenuous, or race pace. Bring your bike to Monday's Fix-a-Flat Class to learn this simple and important skill to minimize delays the next time your tire fizzles. We’ll take the mystery out of wheel and tire removal, patching a tube and putting it all back together. Learn what tools to carry for a quick and speedy repair. Our class is hands-on your bike -- so bring it along. We’ll send you home with patch kit and a step by step guide for the next encounter with a flat tire. Let’s make our future schools bike- and pedestrian-friendly!